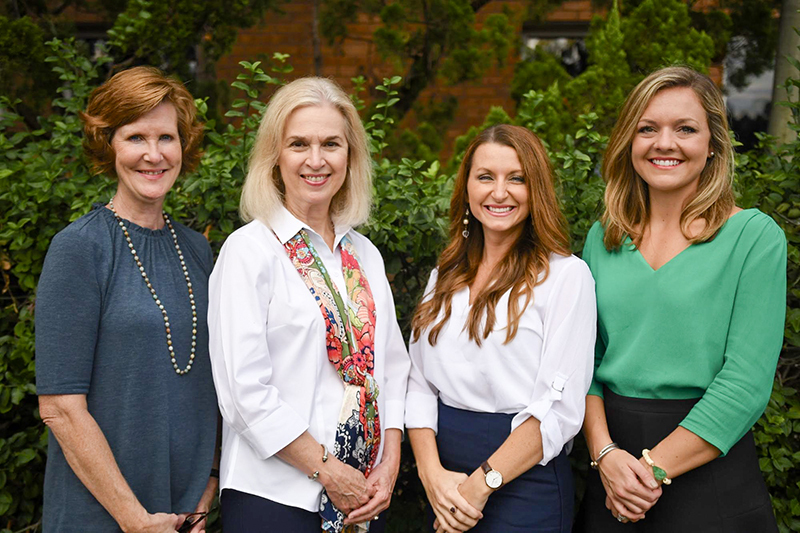 Jackson Academy’s Admission Office is undergoing staff changes as it prepares for another year of guiding new families as they consider JA for their children’s education. Kayla Mosal, who has worked as Associate Admission Director for the last five years, will now serve as Director of Admission and Enrollment Management. The Admission Office was previously led for seven years by DeLeslie Porch whose leadership and vision elevated our Admission Office and instituted independent school best practices. Admission consultant Robin Seiler has been serving as Interim Director since June. Kayla holds a bachelor’s degree in education from Mississippi State University and a master’s degree in health education from Mississippi University for Women. She taught in elementary education before joining JA in admissions and is a cheer and dance choreographer. Kayla is married to JA alumnus, Seth Mosal, Class of 2000. They are the parents of two girls, Eva, a JA K3 student, and Clara, age 2. Haleigh Ritter, currently alumni and annual giving coordinator, is moving to the role of Admission Coordinator. She first came to JA in March 2015 to serve in admissions in a temporary role and was later offered the position of Alumni and Annual Giving Coordinator, which she has held for two years. Haleigh earned a bachelor’s degree in English from the University of Mississippi. Haleigh is married to JA alumnus Andrew Ritter, Class of 2009. Cathy Strauss will continue to serve as Admissions and Jernberg Scholarship Coordinator and Assistant to the President. Before joining JA, Cathy co-managed a private hedge fund and was involved in real estate sales and development and the mortgage lending business. Cathy came to JA in 2014 to serve as Assistant to the President and to coordinate the Jernberg Scholarship. Her daughters, Catherine and Elizabeth, graduated from JA in 2013. Millie Higgins will continue to serve as Preschool Admission Coordinator this year. She has worked in the Preschool for 17 years, teaching for the first 10 and serving in admission for the last seven. Millie and her husband, Ray, who taught and coached at JA until his recent retirement, have two children who graduated from JA: Carter, Class of 2011 and Wade, Class of 2013.